Published: Oct. 21, 2018 at 03:22 p.m.
Minnesota Vikings safety Harrison Smith intercepts pass from New York Jets quarterback Sam Darnold for a 52-yard return. Published: Sept. 9, 2018 at 03:42 p.m.
Minnesota Vikings safety Xavier Rhodes makes one-handed grab to pick off QB Jimmy Garoppolo. 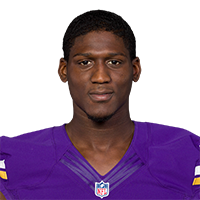 Published: Nov. 23, 2017 at 04:04 p.m.
Minnesota Vikings cornerback Xavier Rhodes seals the game with a crucial interception in the fourth quarter.